Here at Orbit we’re very proud that our books tend to be smart, sophisticated — dare we say, awesome? (yes, we dare) — but there’s still a part of all of us that loves the look and feel of a truly, epically bad SFF book cover. And since we don’t get a chance to publish books that fit that profile we thought we’d call on our readers to help us create one — or at least create the jacket for one. Over the next few weeks we’ll be asking for your help coming up with the most ridiculously bad high-concept SFF book cover in the universe – think Wyvern II: The Wyverning, or Martian Under the Doormat. (We know you can do better) Once we’ve settled on the titles we’ll work out the reading line, the blurbs, and cover elements. 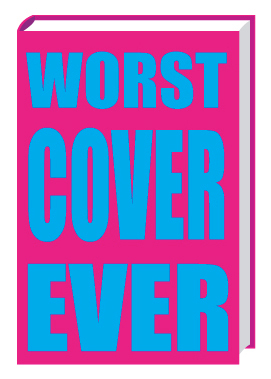 And then, with your help, our fearless Orbit US Creative Director Lauren is going to design a cover for it that will present it in all its mad glory. (*) As much as we appreciate good satire, the point of this exercise isn’t to riff on the titles of an older work, or to haze existing covers — we want to come up with new vistas of badness, so original titles only please.